Every owner knows that a hotel has to feel like a home for a night away. It’s easy enough to pin all of your hopes of achieving this on things like how soft the beds are, how polite the staff is, and how many channels are on the TV, but there’s more to it than that. To achieve a perfect contemporary hotel, it’s about a welcoming, environment. One of the easiest ways to transform the feeling of your hotel from The Shining to The Best Exotic Marigold is with thoughtful, deliberate lighting. Lighting in a hotel is necessary, not just so the staff and guests can see where they’re going, but so everyone can feel safer and more at home. According to a Belgian university study, the color of light influences the way people’s brains process emotional stimuli. For example, blue light can affect memory and emotion in people during the day. Since blue light has various similarities to natural daylight, it can also generate positive feelings in your guests and staff when used during the day. All the components of the hotel have their own rules for a contemporary hospitality experience. External lighting needs to prioritize accessibility, safety, and accentuation of the hotel’s architecture. Lobbies become dance between outdoor light and soft indoor light to create a flow from the outside world to the safe little retreat of a good hotel, an effect achieved by soft ceiling lights. Ballrooms and event spaces need to have flexible and customizable lighting to optimize for anything going on. But the most sacred space in any hotel is the room, and that presents its own challenges. Guests most often complain about poor lighting around the vanity and not enough reading light. Guests most often prefer lots of different light sources, including overhead, lamps, tactically placed wall sconces, and windows for natural sunlight. 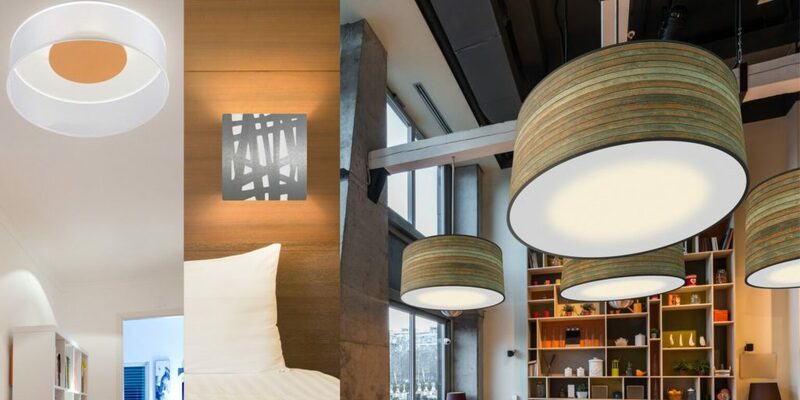 This allows them to customize their lighting and make the hotel room into a space just for them. This entry was posted in Hotel Lighting. Bookmark the permalink.